Who said Australia was a flat country? Here, we pause to pay tribute to some of the most awesomely scenic hiking and trekking areas in Oz – because everywhere is walking distance if you make the time. 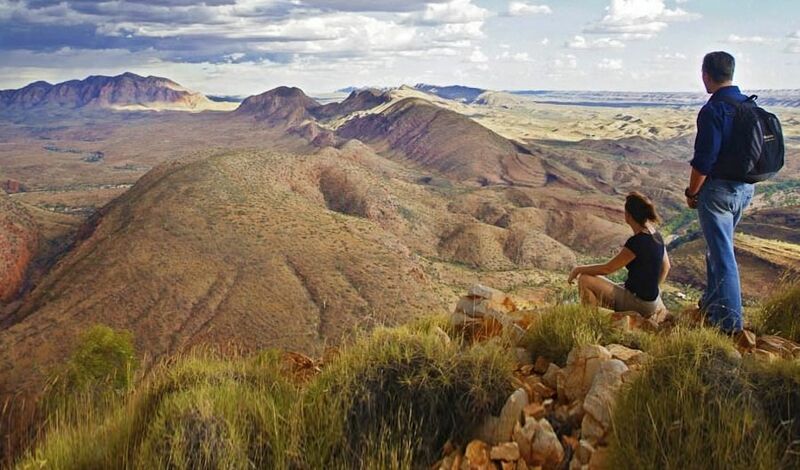 As far as nature oriented walking tracks in Australia go, there are few others like the wild and raw combination of bush and rugged landscape of the Alice Springs region's Larapinta Trail, which is an extensive, 223km long haven for trekkers and trampers worldwide. Divided up into 12 main sections, this relatively difficult trail offers a diverse array of conditions ranging from the conventional to the scenic and the moderately hard to the greatly challenging. This means that every experienced adventurer should be able to find a piece of the Larapinta that is best suited to both their desires for panoramas and ability levels. If you're willing to brave the journey, wondrous views of mountain ranges, deep gorges, dry creek beds, signature "Outback" landscapes, and much more await. 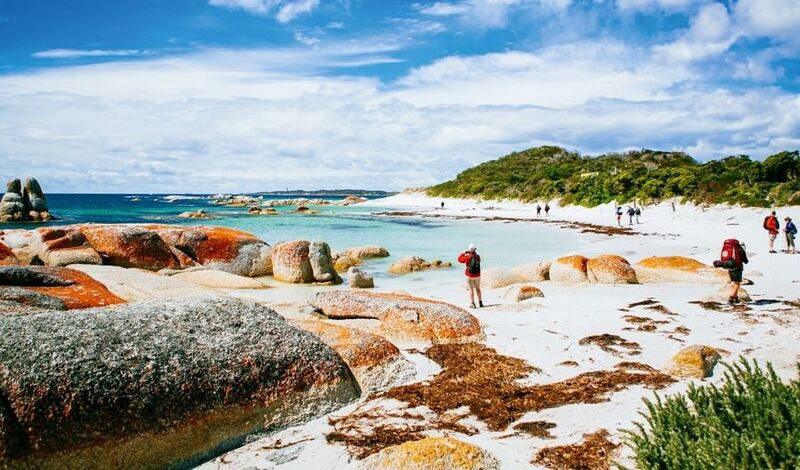 Named after its characteristic lodge, which is also the only building in existence on its roughly 20km-long section of Tasmanian coastline, the Bay of Fires Lodge walk is an idyllic, 4-day hiking journey through a truly stunning stretch of Tassie's east coast. Ideal for those wanting a scenic getaway yet still looking to retain a hint of luxury and the creature comforts of modern accommodation, this trek features a cavalcade of colourful spectacles along the way. Empty white sand beaches separated by ridges offering scenic outlooks, bright orange rocks contrasting brilliantly with blue waters, and a myriad of bird and animal life are just some of what you'll encounter on this journey. All the beauty of the Mt. William National Park is on display here and the walk's eco-friendly lodge affords visitors a panorama of both bush and ocean. The world's largest sand island offers a multitude of opportunities for adventure, with Fraser Island's walking track a true standout. The island provides a multi-day pathway through sections of lush rainforest and amazing beachfront, including the island's characteristic coloured sands. While this QLD island is a popular travel spot, the Great Walk route does a good job of getting you away from the crowded tourist areas. Throughout its roughly 90km-long, 6-8 day expanse you'll trek through mangrove forest, encounter several of its 40 stunning freshwater lakes, and see its massive rolling sand dunes firsthand. As an added bonus, the relative ease of the journey makes it one of Australia's most accessible and instantly rewarding Great Walks. While one's mental imagery of South Australia may typically involve rolling green vineyards or European-style architecture, the state's inner reaches are also home to some of the country's most ancient and rugged terrain. SA's Arkaba Trail's craggy sandstone bluffs, dry creek beds and expansive panoramas that have been moulded by millions of years of weathering and shaping provide an Outback-style landscape reminiscent of the Northern Territory. This 4-day trek is broken up into separate walks of around 7 hours per day covering anywhere between 6 to 15 kilometres in one section and offers expansive and panoramic views of the terrain. The region is especially magical at sunset when the already-reddish hue of the landscape is further enhanced by the sun's evening glow. Australia's most well-known alpine region is a location steeped in history and folklore that also happens to be a place of wonderful natural beauty. 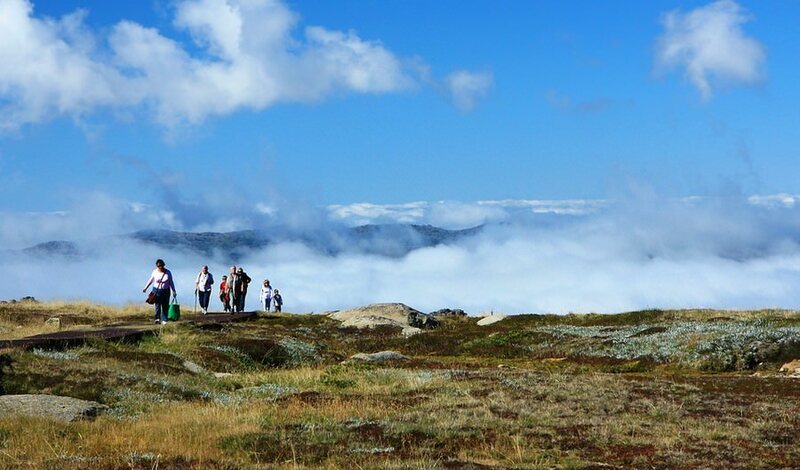 Home to the country's highest peak, Kosciuszko, and its surrounding national park, the region blends ancient glacial landscapes draped in alpine wildflowers during the warmer months and snow-dusted peaks in cool periods capped off by unmatched 360-degree views. Literally hundreds of kilometres of walking tracks await the aspiring hiker here, and there's a nearly limitless way to combine them into a journey that lasts anywhere from half a day up to epic, multi-day return trips that aim to leave no snow-dusted stone unturned. Despite its name, it's a region that truly opens up once the ice melts and presents a smorgasbord of wonderful alpine hiking just waiting to be discovered. 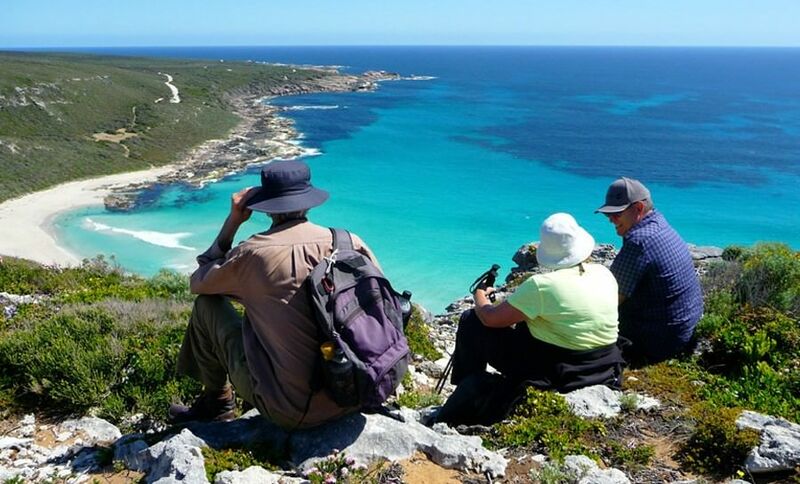 This scenic walking experience is Australia's longest coastal walking track, running alongside the vivid blue waters of the Indian Ocean from Cape Naturaliste in the north to Cape Leeuwin in the south. An incredible foot-based showcase of Australia's south-west, unique rock formations, majestic cliffs, limestone caves and lush Karri forest make for a diverse journey that is defined by the beauty of its waters. While there are plenty of smaller and easier segments of the Cape to Cape track that can be done separately and make for enjoyable furloughs given the track's high degree of accessibility from the road, the full-length adventure involves roughly 20 to 25 kilometres worth of walking per day. This includes a reasonable degree of soft-sand walking and a high level of accessibility with plentiful accommodation options. 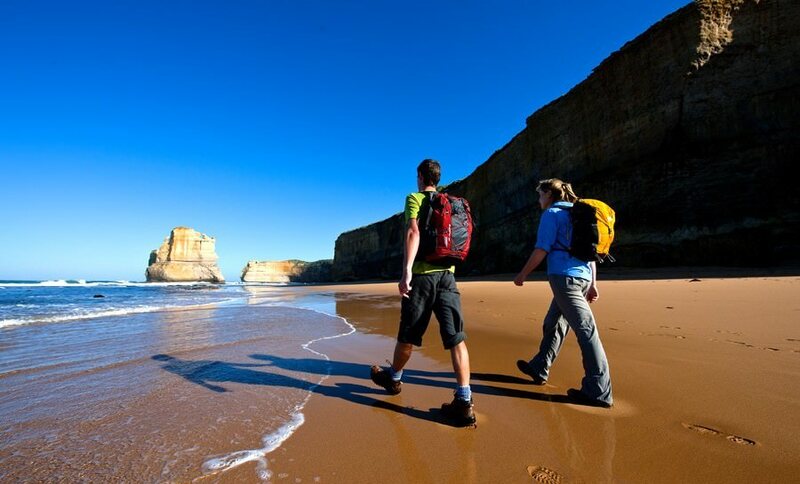 One of Australia's most photographed natural wonders, the Great Ocean Road and its iconic 12 Apostles rock formations are a staple of Australian travel promotional material. With its incredible example of dramatic coastal scenery, rocky cliff faces and vast stretches of open beach, what may be one of the world's most beautiful drives also makes for one of the country's essential walks for hiking enthusiasts that's suitable for walkers of any ability level. 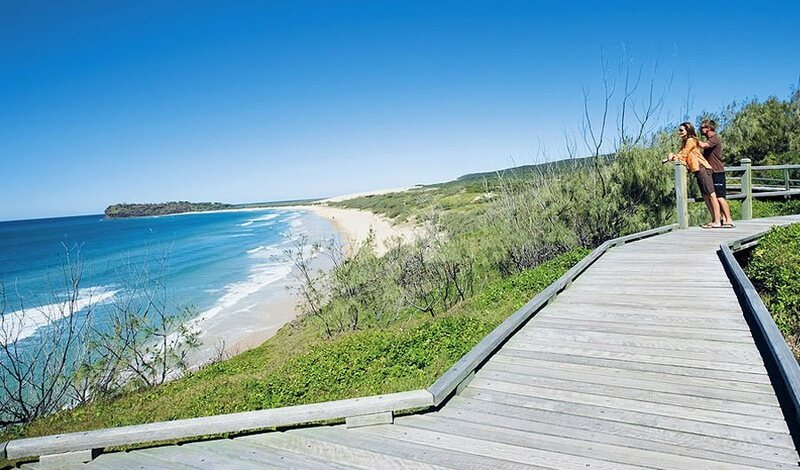 Spread out over the course of just over 100km, the track combines some of Australia's tallest coastal cliffs with the remnants of various historical shipwrecks and more. Additional variety also comes at regular intervals with the trek meandering away from the coastline in several sections including into the heart of the lush, wooded greenery of the Otway National Park. 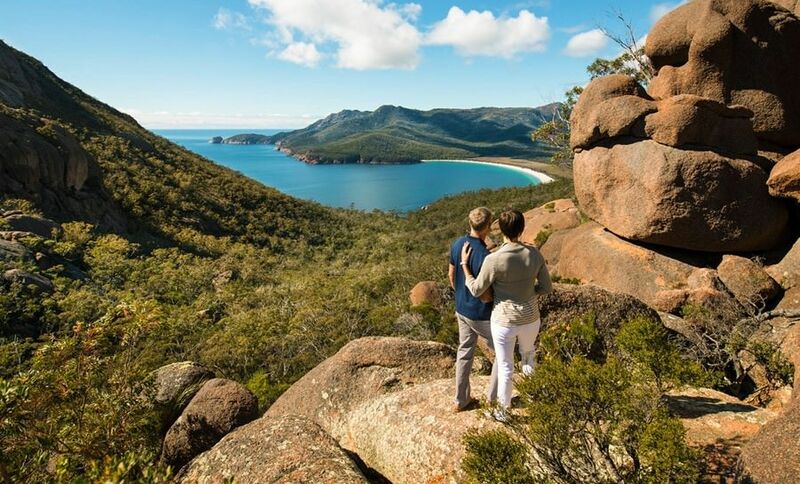 In terms of small-scale snapshots of natural Aussie beauty, there are few that can compare to the Freycinet Peninsula of Tasmania and its idyllic Wineglass Bay in particular. Considered to be one of Australia's best beaches and a postcard-perfect example of a secluded, sheltered cove, Wineglass Bay is one of Australia's essential bucket-list items, with its surrounding Freycinet National Park offering an array of wonders and some of the country's best bushwalking. 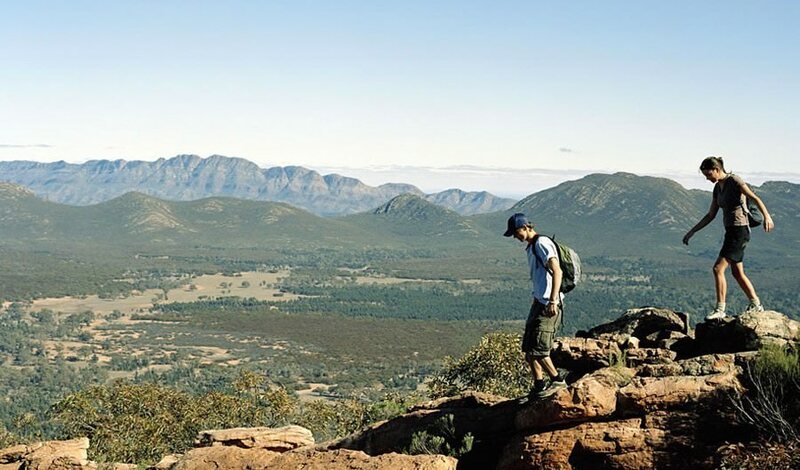 Spread out over a 3 to 4 days and featuring a staggeringly scenic hike through the forested, pink granite terrain of the twin peaks of the Hazard Mountains, it's a walk that's both reasonably accessible yet boasts one of the most rewarding scenery-per-kilometre ratios of any track on this list. Perhaps Australia's most popular mountain range for travellers due to its relatively close proximity to the country's largest city, Sydney, the Blue Mountains are more than just a convenient dose of nature nearby. 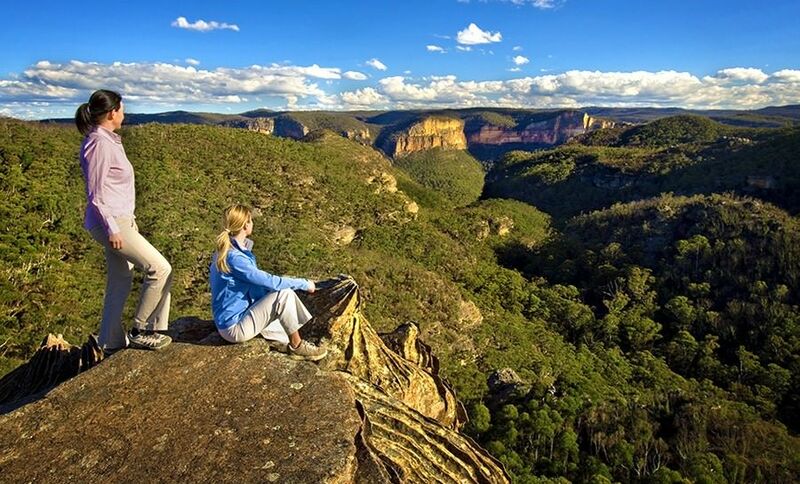 Home to one of the most spectacular examples of Aussie national parkland at work, the Blue Mountains feature massive cascading waterfalls, distinctively rugged peaks and nearly endless opportunities for exploration both on peak and in canyon. This expansive mountain area is part of the immense Great Dividing Range, which was given World Heritage status back in 2000, and is a true region in and of itself, and for walkers and hikers it's truly an exploratory delight. The Blue Mountains boast over 140 kilometres worth of trails and tracks of varying degrees of difficulty, rather than one single Great Walk. 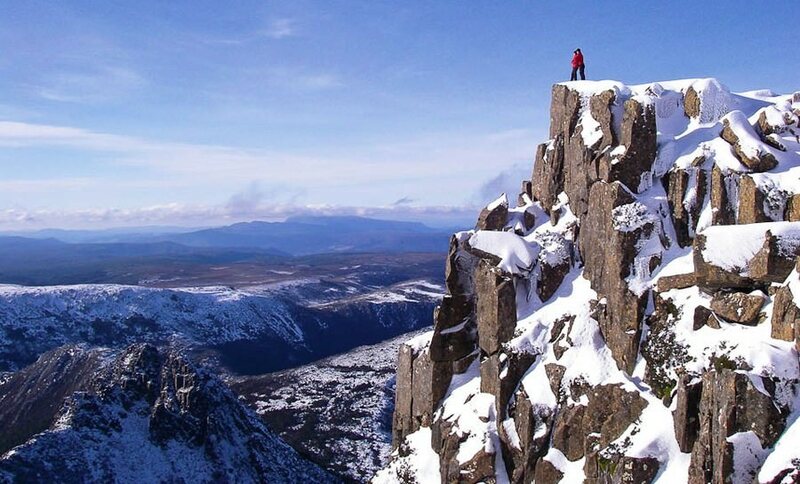 Widely considered one of the world's best bushwalks, Tasmania's Overland Track is stunning natural beauty exemplified to the fullest. Featuring an environment reminiscent of the best parts of Switzerland and New Zealand, this 6-day journey provides walkers with all the best hallmarks of alpine scenery. Featuring pristine mountain streams, radiant waterfalls, vibrant meadows and numerous other phenomena all combine to make for a breathtaking spectacle awaiting around each new bend of its roughly 65-kilometre-long expanse. Featuring the option to stay in a series of high-grade huts for accommodation, it combines scenery and comfort into a single unforgettable trip. To book one of these epic hiking journeys for yourself and embark on the adventure of a lifetime, be sure to visit our dedicated walking and hiking page.